You can go to dishpointer.com or use the basic settings in your receiver. Then you can use the built-in meter in your satellite receiver, but it takes about 10 seconds between each change before you can be sure you’re making the right moves. If you’re a novice, plan on taking 2-3 hours the first time you align a simple round dish or 4-5 hours the first time you align an HD dish. If you get good at it, this method could have you up and running in 30-45 minutes. We do sell much less expensive signal finders like this one. They only measure signal level and you can’t be sure what satellite they’ve actually locked on to. They’re also completely useless for DIRECTV SWM and even DIRECTV HD signals. They’ll get you started and then you can use the receiver’s built-in meters from there. In my estimation they’ll save you 30-45 minutes the first time and maybe 20 minutes after that. So as long as you’re trying to align a DISH system or a round DIRECTV dish you’ll probably be ok with this method, after all 20-30 minutes isn’t too bad to align a dish. 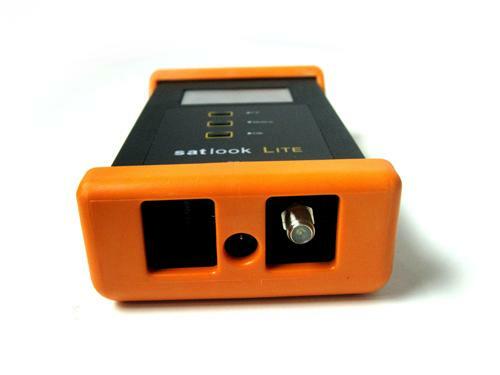 A meter like our Satlooklite will power the dish for you, meaning that it can be used completely without a receiver even on DIRECTV SWM systems. It will identify the DIRECTV satellites and the DISH ones and has dozens of settings for other satellites too. You can be sure you’re getting the right signal because it will lock in and won’t give you false readings. It’s still going to take about 1-2 hours the first time you do it, but an experienced person with a good meter can peak a dish, even an HD dish, in 20 minutes or less. That’s the benefit of using a good tool. You see, it depends on what value you give to your own time. If you feel like your time isn’t worth a lot or you just aren’t going to be aiming your dish that much then you might feel like skipping the meter is a good bet. However, if you really want that perfect aim or if you’re the sort of person who goes out tailgating every weekend… that’s another whole thing. You’re definitely going to want that meter with you when you’re working. Trust me… you can never goi wrong using a good tool.